[S220] Juanita Mayberry, family group record sent to Roger Bartlett, 23 Sep 1975 (naming Hubert Bartlett as his father). [S220] Juanita Mayberry, family group record, 23 Sep 1975, above (naming Josia Bartlett as his mother). [S137] Index to Texas Delayed Probate Birth Records (Austin, Tex. : Tex. Dept. of Health, Bur. of Vital Statistics), sec. 2, vol. 1, p. 333, file 1295706. [S220] Juanita Mayberry, family group record, 23 Sep 1975, above (giving only the date). [S312] Social Security Death Index, online at http://tinyurl.com/AncestrySSDI, viewed on 25 Feb 1998 (giving only the date). [S11] Index to Texas Death Records (Austin, Tex. : Tex. Dept. of Health, Bur. of Vital Statistics), typescript, 1969, vol. 1, p. 80, file 70865. [S312] Social Security Death Index, online at http://tinyurl.com/AncestrySSDI, viewed on 25 Feb 1998 (stating that he died in Sep 1969; not naming the place of death but stating that he lived in Dallas, Texas when he died). [S220] Juanita Mayberry, family group record sent to Roger Bartlett, 23 Sep 1975 (giving his name as Hubert Cleveland Bartlett, Jr. and naming Hubert Bartlett as his father). [S220] Juanita Mayberry, family group record, 23 Sep 1975, above (giving his name as Hubert Cleveland Bartlett, Jr. and naming Josia Bartlett as his mother). [S172] Van Zandt County, Texas Cemeteries, Book 3 (Canton, Tex. : Friends for Historic Preservation, 1987), p. 139. [S312] Social Security Death Index, online at http://tinyurl.com/AncestrySSDI, viewed on 26 Feb 1998. [S11] Index to Texas Death Records (Austin, Tex. : Tex. Dept. of Health, Bur. of Vital Statistics), typescript, 1975, vol. 1, p. 90, file 25202. [S312] Social Security Death Index, online at http://tinyurl.com/AncestrySSDI, viewed on 26 Feb 1998 (stating that he died in Apr 1975; not naming the place of death). [S172] Van Zandt County, Texas Cemeteries, Book 3, above, p. 139 (giving his name as Cleveland Bartlett). [S961] Find A Grave, online at http://www.findagrave.com, memorial for Cleveland Bartlett, memorial no. 42781252. Marriage*: He married Ruth Orlena Dorough on 23 March 1940. Scrapbook*: "The groom is known widely because of his ability as a singer, his friendly attitude toward others and his straightforwardness of character." [S220] Juanita Mayberry, family group record sent to Roger Bartlett, 23 Sep 1975 (spelling his name as Virbile and naming Jesse Bartlett as his father). [S220] Juanita Mayberry, family group record, 23 Sep 1975, above (spelling his name as Virbile and naming Tura Bartlett as his mother). [S961] Find A Grave, online at http://www.findagrave.com, memorial for Virbal Baskum Bartlett, memorial no. 113930753, viewed on 27 Aug 2013. [S220] Juanita Mayberry, family group record, 23 Sep 1975, above (spelling his name as Virbile). [S220] Juanita Mayberry, family group record sent to Roger Bartlett, 23 Sep 1975 (naming Lucien ("Doc") Bartlett as her father). [S1199] Hiett's LyBrand Funeral Home, Wills Point, Tex., online http://www.hlfhs.com/obituary.aspx, ca. 27 Dec 2009, viewed 31 Dec 2009 (obituary of Florence Bartlett DeRuvo) (naming L. M. Bartlett as her father). [S220] Juanita Mayberry, family group record, 23 Sep 1975, above (naming Florence Bartlett as her mother). [S1199] Obituary of Florence Bartlett DeRuvo, above (naming Florence Melton Bartlett as her mother). [S1199] Obituary of Florence Bartlett DeRuvo, above. [S1199] Obituary of Florence Bartlett DeRuvo, above (naming Florence Bartlett as his mother). [S1199] Obituary of Florence Bartlett DeRuvo, above (naming Florence Bartlett as her mother). Note*: She received the Outstanding Woman Award from the Metrocrest Women's Charity Group in 1984. She helped organize the Friends of the A. W. Perry Homestead Museum, Carrollton, Texas, a group created to support the museum, and served on the museum's board from 1975 to 1988. She also served as president of the Carrollton Morning Garden Club, was a charter member of the Titus Travis Chapter of the D.A.R., and was a member of the First Baptist Church of Carrollton. [S220] Juanita Mayberry, family group record sent to Roger Bartlett, 23 Sep 1975 (naming Samuel Lusk Bartlett as her father). [S1421] FamilySearch.org, online at http://www.newspapers.com (family tree for Juanita Mae Mayberry, viewed on 10 Mar 2018, naming Samuel Lusk Bartlett as her father). [S220] Juanita Mayberry, family group record, 23 Sep 1975, above (naming Mae Bartlett as her mother). [S1421] FamilySearch.org, online at http://www.familysearch.org (family tree for Juanita Mae Mayberry, viewed on 10 Mar 2018, naming Lillie Mae Bodine as her mother). [S171] Index to Texas Delayed Certificates of Birth Filed Subsequent to January 1, 1960, 1-300,000 (Austin, Tex. : Tex. Dept. of Health, Bur. of Vital Statistics, 1975), vol. 1, p. 272, file 211114 (giving month and year only). [S312] Social Security Death Index, online at http://tinyurl.com/AncestrySSDI, viewed on 26 Feb 1998 (giving only the date). [S1421] FamilySearch.org, online at http://www.familysearch.org (family tree for Juanita Mae Mayberry, viewed on 10 Mar 2018, giving the year and county). [S924] Marriage Records, 1932-1950, Van Zandt County, Texas (Wills Point, Tex. : Van Zandt County Gen. Soc'y, 2002), pp. 146, 270 (citing Van Zandt Co., Tex. Marriage Records, bk. 15, p. 429). [S1203] Jan Mayberry, electronic mail to Roger Bartlett, 1 Mar 2010 (not giving the date or place). [S11] Index to Texas Death Records (Austin, Tex. : Tex. Dept. of Health, Bur. of Vital Statistics), typescript, 1989 (microfiche), p. 1313, file 102078. [S312] Social Security Death Index, online at http://tinyurl.com/AncestrySSDI, viewed on 26 Feb 1998 (stating that she died in Nov 1989; not naming the place of death but stating that she lived in Carrollton, Texas when she died). [S1421] FamilySearch.org, online at http://www.familysearch.org (family tree for Juanita Mae Mayberry, viewed on 10 Mar 2018). [S1203] Jan Mayberry, electronic mail to Roger Bartlett, 1 Mar 2010 (giving the place but not the date). [S224] Juanita Mayberry, 1705 Willow Rd., Carrollton, Tex. 75006, letter to Roger Bartlett, 15 Jun 1975 (naming Juanita Mayberry as his mother). [S1203] Jan Mayberry, electronic mail to Roger Bartlett, 1 Mar 2010 (naming Juanita Mae Bartlett as his mother). [S1108] Social Security Death Index, online at http://tinyurl.com/RootswebSSDI, viewed 6 Mar 2010. [S1203] Jan Mayberry, electronic mail to Roger Bartlett, 1 Mar 2010. [S224] Juanita Mayberry, 1705 Willow Rd., Carrollton, Tex. 75006, letter to Roger Bartlett, 15 Jun 1975 (naming Lewis Mayberry as his father). [S1203] Jan Mayberry, electronic mail to Roger Bartlett, 1 Mar 2010 (naming Lewis Mayberry as his father). [S1421] FamilySearch.org, online at http://www.newspapers.com (family tree for Oleta Birdie Mayberry, viewed on 10 Mar 2018, naming Samuel Lusk Bartlett as her father). [S1421] FamilySearch.org, online at http://www.familysearch.org (family tree for Oleta Birdie Mayberry, viewed on 10 Mar 2018, naming Lillie Mae Bodine as her mother). [S1421] FamilySearch.org, online at http://www.familysearch.org (family tree for Oleta Birdie Mayberry, viewed on 10 Mar 2018, giving the date but not the place). [S220] Juanita Mayberry, family group record, 23 Sep 1975, above (spelling his surname as Nichlos and giving the date but not the place). [S924] Marriage Records, 1932-1950, Van Zandt County, Texas (Wills Point, Tex. : Van Zandt County Gen. Soc'y, 2002), pp. 167, 270 (citing Van Zandt Co., Tex. Marriage Records, bk. 16, p. 549). [S312] Social Security Death Index, online at http://tinyurl.com/AncestrySSDI, viewed on 26 Feb 1998 (giving the date but not the place). [S1421] FamilySearch.org, online at http://www.familysearch.org (family tree for Oleta Birdie Mayberry, viewed on 10 Mar 2018, giving the year and city). [S1108] Social Security Death Index, online at http://tinyurl.com/RootswebSSDI, viewed 7 Mar 2010. [S220] Juanita Mayberry, family group record sent to Roger Bartlett, 23 Sep 1975 (spelling his surname as Nichlos and giving the date but not the place). [S1108] Social Security Death Index, online at http://tinyurl.com/RootswebSSDI, viewed 7 Mar 2010 (not naming the place of death but stating that he lived in Lewisville, Tex. when he died). [S220] Juanita Mayberry, family group record sent to Roger Bartlett, 23 Sep 1975 (spelling his name as Ansel and naming Monroe Autry as his father). [S220] Juanita Mayberry, family group record, 23 Sep 1975, above (spelling his name as Ansel and naming Mary Autry as his mother). [S137] Index to Texas Delayed Probate Birth Records (Austin, Tex. : Tex. Dept. of Health, Bur. of Vital Statistics), vol. 2, p. 615, file 950292. [S312] Social Security Death Index, online at http://tinyurl.com/AncestrySSDI, viewed on 24 Feb 1998 (not naming the place of death but stating that he lived in Canton, Texas when he died). [S1559] Texas Death Index, 1964-1998, online at https://www.familysearch.org, record for Ancel Monroe Autry, viewed on 28 Jan 2019. [S236] Photograph of grave marker provided by Charles O. Richardson, Jr. on 14 Apr 1997, above (an upright grave marker bearing the inscription "Beloved Father" and a flat grave marker stating that he was a staff sergeant in the U.S. Army in World War II). [S236] Photograph of grave marker provided by Charles O. Richardson, Jr. on 14 Apr 1997, above (the smaller of two grave markers stating that he was a staff sergeant in the U.S. Army in World War II). [S224] Juanita Mayberry, 15 Jun 1975 letter, above (naming Juanita Mayberry as his mother). [S1203] Jan Mayberry, electronic mail to Roger Bartlett, 1 Mar 2010 (stating that he was born at home). [S224] Juanita Mayberry, 15 Jun 1975 letter, above. Nancy Caroline Bartlett Waters, ca. 1947, courtesy of Betsy Waters Haynes. Other Names*: Caroline Bartlett, Carrie Bartlett, Nancy Caroline Waters, Caroline Waters, Carrie Waters. [S174] Bert Waters, Waco, Tex., interview by Roger Bartlett, 29 Jun 1974 (naming Lucien Dony Bartlett as her father). [S220] Juanita Mayberry, family group record sent to Roger Bartlett, 23 Sep 1975 (naming Lucien Dony Bartlett as her father). 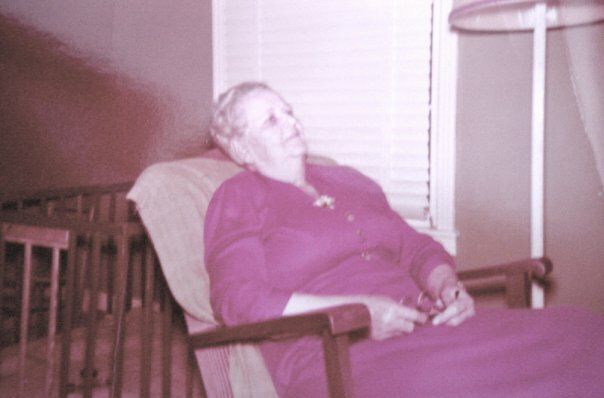 [S174] Bert Waters, Waco, Tex., 29 Jun 1974 interview, above (stating that she was born on 12 Mar 1881 in Kaufman County, Texas). [S220] Juanita Mayberry, family group record, 23 Sep 1975, above (stating that she was born on 12 Mar 1881 in Kaufman County, Texas). [S356] Bryan E. Couch, electronic mail to Roger Bartlett, 19 Jan 1998. [S822] Stephen Bartlett Reynolds, electronic mail to Roger Bartlett, 15 Mar 2003, (giving the date but not naming the place). [S965] Cisco Cemetery, Eastland County, Cisco, Texas (n.p. : n.pub., n.d.), p. 126 (giving the date but not naming the place). [S11] Index to Texas Death Records (Austin, Tex. : Tex. Dept. of Health, Bur. of Vital Statistics), typescript, 1966, vol. 3, p. 1490, file 30011 (naming the county but not the city). [S67] The Dallas Morning News, Dallas, Tex., 9 May 1966, sec. D, p. 3 (obituary of Mrs. Caroline Waters). [S220] Juanita Mayberry, family group record, 23 Sep 1975, above (giving the place but not the date). [S790] Nancy Lovett, electronic mail to Roger Bartlett, 1 Dec 2002 (giving the place but not the date). [S965] Cisco Cemetery, Eastland County, Cisco, Texas (n.p. : n.pub., n.d.), p. 126 (giving the place but not the date). [S174] Bert Waters, Waco, Tex., 29 Jun 1974 interview, above (stating that she was a member of the First Presbyterian Church, the DAR, and the UDC). [S67] The Dallas Morning News, Dallas, Tex., 9 May 1966, sec. D, p. 3 (obituary of Mrs. Caroline Waters) (stating that she was a member of the First Presbyterian Church and the DAR, stating that she taught art at Cisco Junior College, and giving information about her survivors). [S174] Bert Waters, Waco, Tex., 29 Jun 1974 interview, above (naming Carrie Waters as his mother). [S356] Bryan E. Couch, electronic mail to Roger Bartlett, 19 Jan 1998 (naming Nancy Caroline Bartlett as his mother). [S67] The Dallas Morning News, Dallas, Tex., 9 May 1966, sec. D, p. 3 (obituary of Mrs. Caroline Waters) (naming Mrs. Caroline Waters as his mother). [S356] Bryan E. Couch, electronic mail to Roger Bartlett, 19 Jan 1998 (giving his middle name as Everett and naming Nancy Caroline Bartlett as his mother). [S961] Find A Grave, online at http://www.findagrave.com, memorial for David Elam Waters, Jr., memorial no. 35819518, viewed on 22 Jul 2017 (naming Nancy Caroline Bartlett Waters as his mother). [S174] Bert Waters, Waco, Tex., 29 Jun 1974 interview, above (naming Carrie Waters as her mother). [S356] Bryan E. Couch, electronic mail to Roger Bartlett, 19 Jan 1998 (naming Nancy Caroline Bartlett as her mother). [S67] The Dallas Morning News, Dallas, Tex., 9 May 1966, sec. D, p. 3 (obituary of Mrs. Caroline Waters) (naming Mrs. Caroline Waters as her mother). [S791] Hood County News, Granbury, Tex., online http://www.hcnews.com, 3 Dec 2002, viewed 3 Dec 2002 (obituary of John F. Waters, Sr.) (naming Nancy Bartlett Waters as his mother). David Elam Waters, Sr. and his wife, Nancy Caroline Bartlett Waters, courtesy of Betsy Waters Haynes. [S174] Bert Waters, Waco, Tex., interview by Roger Bartlett, 29 Jun 1974. [S11] Index to Texas Death Records (Austin, Tex. : Tex. Dept. of Health, Bur. of Vital Statistics), typescript, 1949, vol. 3, file 39413. [S790] Nancy Lovett, electronic mail to Roger Bartlett, 1 Dec 2002. [S965] Cisco Cemetery, Eastland County, Cisco, Texas (n.p. : n.pub., n.d.), p. 126. [S174] Bert Waters, Waco, Tex., 29 Jun 1974 interview, above (describing his business pursuits). [S965] Cisco Cemetery, Eastland County, Cisco, Texas (n.p. : n.pub., n.d.), p. 126 (giving 2 Dec 1875 as his birth date). [S356] Bryan E. Couch, electronic mail to Roger Bartlett, 19 Jan 1998 (naming David Elam Waters as his father). [S356] Bryan E. Couch, electronic mail to Roger Bartlett, 19 Jan 1998 (giving his middle name as Everett and naming David Elam Waters as his father). [S961] Find A Grave, online at http://www.findagrave.com, memorial for David Elam Waters, Jr., memorial no. 35819518, viewed on 22 Jul 2017 (naming David Elam Waters as his father). [S356] Bryan E. Couch, electronic mail to Roger Bartlett, 19 Jan 1998 (naming David Elam Waters as her father). [S791] Hood County News, Granbury, Tex., online http://www.hcnews.com, 3 Dec 2002, viewed 3 Dec 2002 (obituary of John F. Waters, Sr.) (naming David Waters as his father). [S233] Charles O. Richardson, Jr., P.O. Box 119, Mineola, Tex. 75773, letter to Roger Bartlett, 6 Mar 1997, (stating that her grave marker names L. D. Bartlett as her father). [S233] Charles O. Richardson, Jr., 6 Mar 1997 letter, above, (stating that her grave marker names N. M. Bartlett as her mother). [S236] Photograph of grave marker provided by Charles O. Richardson, Jr., accompanying letter to Roger Bartlett, 14 Apr 1997. [S822] Stephen Bartlett Reynolds, electronic mail to Roger Bartlett, 15 Mar 2003. [S11] Index to Texas Death Records (Austin, Tex. : Tex. Dept. of Health, Bur. of Vital Statistics), typescript, 1903-40, vol. 3, p. 1474, file 26413. [S233] Charles O. Richardson, Jr., 6 Mar 1997 letter, above, (her grave marker being inscribed, "No pain; no grief; no anxious fear; can reach our loved one sleeping here"). [S220] Juanita Mayberry, family group record sent to Roger Bartlett, 23 Sep 1975 (naming Lucien Dony Bartlett as his father). [S137] Index to Texas Delayed Probate Birth Records (Austin, Tex. : Tex. Dept. of Health, Bur. of Vital Statistics), vol. 2, p. 961, file 366025. [S922] Marriage Records, 1848-1909, Van Zandt County, Texas (Wills Point, Tex. : Van Zandt County Gen. Soc'y, 1978), p. 9 (citing Van Zandt Co., Tex. Marriage Records, bk. 8, p. 352). [S11] Index to Texas Death Records (Austin, Tex. : Tex. Dept. of Health, Bur. of Vital Statistics), typescript, 1946, vol. 1, p. 64, file 30450. [S174] Bert Waters, Waco, Tex., interview by Roger Bartlett, 29 Jun 1974 (naming Lucien Dony Bartlett as Frank E. Bartlett's father). [S163] Texas Social Security Death Records, compact disc CD49 (n.p. : Automated Archives, Inc., 1991). [S11] Index to Texas Death Records (Austin, Tex. : Tex. Dept. of Health, Bur. of Vital Statistics), typescript, 1964-1988 (microfiche), p. 2333, file 58042-66. [S11] Index to Texas Death Records, typescript, above, 1966, vol. 1, p. 79, file 58042. [S174] Bert Waters, Waco, Tex., interview by Roger Bartlett, 29 Jun 1974 (naming Lucien Dony Bartlett as Mrs. Mary Maloney's father). [S67] The Dallas Morning News, Dallas, Tex., 23 Sep 1950, part 3, p. 4 (obituary of Mrs. Nellie May Bartlett) (not giving the date). [S174] Bert Waters, Waco, Tex., 29 Jun 1974 interview, above (not giving the date). [S1061] Houston Chronicle, Houston, Tex., online chron.com, 3 Dec 2005 (obituary of Patti Ruth Maloney Linbeck) (stating that he was a brother of Patti Ruth Maloney). [S1061] Houston Chronicle, Houston, Tex., online chron.com, 3 Dec 2005 (obituary of Patti Ruth Maloney Linbeck) (naming Mary Gertrude Bartlett as her mother). [S1061] Houston Chronicle, Houston, Tex., online chron.com, 3 Dec 2005 (obituary of Patti Ruth Maloney Linbeck) (stating that she was a sister of Patti Ruth Maloney). [S220] Juanita Mayberry, family group record sent to Roger Bartlett, 23 Sep 1975 (spelling his middle name as Sydney and naming Lucien Dony Bartlett as his father). [S177] Kaufman County [Texas] Cemetery Inscriptions, Volume II (Terrell, Tex. : Kaufman County Gen. Soc'y, 1992), p. 117 (giving the date but not naming the place). [S177] Kaufman County Cemetery Inscriptions, Volume II, above, p. 117. [S174] Bert Waters, Waco, Tex., interview by Roger Bartlett, 29 Jun 1974 (naming Lucien Dony Bartlett as Mrs. Hattie Belle Puckett's father). [S220] Juanita Mayberry, family group record, 23 Sep 1975, above (not giving the date or place). [S67] The Dallas Morning News, Dallas, Tex., 25 Apr 1916, p. 16 (giving his name as J. P. Cawthorn and stating that they had obtained a marriage license). [S67] The Dallas Morning News, Dallas, Tex., 23 Sep 1950, part 3, p. 4 (obituary of Mrs. Nellie May Bartlett) (stating that she lived in Dallas, Texas). [S174] Bert Waters, Waco, Tex., 29 Jun 1974 interview, above (stating that she lived in Dallas, Texas). [S220] Juanita Mayberry, family group record, 23 Sep 1975, above (giving her degree and occupation). [S67] The Dallas Morning News, Dallas, Tex., 2 Jun 1940, sec. III, p. 14 (naming Mrs. C. H. Puckett as his mother). Leslie Lusk Bartlett's tombstone, Cedars Memorial Gardens, Mineola, Tex., courtesy of "Bill75773" on www.findagrave.com. [S174] Bert Waters, Waco, Tex., interview by Roger Bartlett, 29 Jun 1974 (naming Lucien Dony Bartlett as Leslie Bartlett's father). [S137] Index to Texas Delayed Probate Birth Records (Austin, Tex. : Tex. Dept. of Health, Bur. of Vital Statistics), vol. 2, p. 964, file 167623. [S220] Juanita Mayberry, family group record, 23 Sep 1975, above (giving the date but not naming the place). [S312] Social Security Death Index, online at http://tinyurl.com/AncestrySSDI, viewed on 26 Feb 1998 (giving the date but not naming the place). 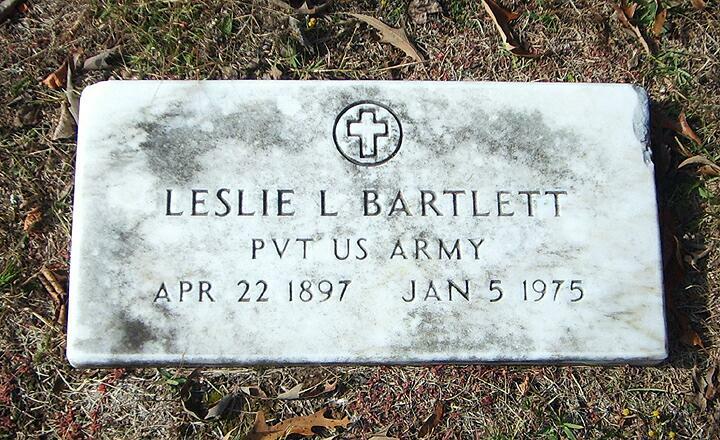 [S961] Find A Grave, online at http://www.findagrave.com, memorial for Leslie Lusk Bartlett, memorial no. 23356043, viewed on 18 Jun 2016. [S11] Index to Texas Death Records (Austin, Tex. : Tex. Dept. of Health, Bur. of Vital Statistics), typescript, 1975, vol. 1, p. 91, file 1582. [S312] Social Security Death Index, online at http://tinyurl.com/AncestrySSDI, viewed on 26 Feb 1998 (stating that he died in Jan 1975; not naming the place of death but stating that he lived in Dallas, Texas when he died). [S137] Index to Texas Delayed Probate Birth Records (Austin, Tex. : Tex. Dept. of Health, Bur. of Vital Statistics), vol. 2, p. 965, file 547927 (giving her name as Paula). [S822] Stephen Bartlett Reynolds, electronic mail to Roger Bartlett, 15 Mar 2003, (giving her name as Nellie Paula and stating that she was born on 8 Mar 1901 without naming the place). [S312] Social Security Death Index, online at http://tinyurl.com/AncestrySSDI, viewed on 15 Mar 2003 (giving the date but not naming the place). [S822] Stephen Bartlett Reynolds, electronic mail to Roger Bartlett, 15 Mar 2003, (stating that she died "three or four years ago in New Mexico"). [S312] Social Security Death Index, online at http://tinyurl.com/AncestrySSDI, viewed on 15 Mar 2003 (not naming the place of death but stating that she lived in Albuquerque, N.M. when she died). [S220] Juanita Mayberry, family group record, 23 Sep 1975, above (mentioning the name Nellie). [S822] Stephen Bartlett Reynolds, electronic mail to Roger Bartlett, 15 Mar 2003, (mentioning the name Nellie). [S67] The Dallas Morning News, Dallas, Tex., 9 May 1966, sec. D, p. 3 (obituary of Mrs. Caroline Waters) (stating that she lived in California). [S220] Juanita Mayberry, family group record sent to Roger Bartlett, 23 Sep 1975 (giving her name as Lucien Martha Bartlett and naming Lucien Dony Bartlett as her father). [S171] Index to Texas Delayed Certificates of Birth Filed Subsequent to January 1, 1960, 1-300,000 (Austin, Tex. : Tex. Dept. of Health, Bur. of Vital Statistics, 1975), vol. 1, p. 273, file 80157 (giving month and year only). [S236] Photograph of grave marker provided by Charles O. Richardson, Jr. on 14 Apr 1997, above (date only). [S220] Juanita Mayberry, family group record sent to Roger Bartlett, 23 Sep 1975 (naming Henry Fisher Blackwell as her father). [S11] Index to Texas Death Records (Austin, Tex. : Tex. Dept. of Health, Bur. of Vital Statistics), typescript, 1903-40, vol. 17, p. 8384, file 31896. [S11] Index to Texas Death Records (Austin, Tex. : Tex. Dept. of Health, Bur. of Vital Statistics), typescript, 1957, vol. 1, p. 107, file 36580. [S220] Juanita Mayberry, family group record, 23 Sep 1975, above (not naming the place). Other Names*: Revell Blackwell, Rebel Eugene Blackwell, Rebel Blackwell, R. E. Blackwell. [S220] Juanita Mayberry, family group record sent to Roger Bartlett, 23 Sep 1975 (giving his name as Rebel Eugene Blackwell and naming Henry Fisher Blackwell as his father). [S961] Find A Grave, online at http://www.findagrave.com, memorial for Rebel Eugene Blackwell, memorial no. 28988049, viewed on 17 Jun 2017 (naming Henry F. Blackwell as his father). [S961] Find A Grave, online, above, memorial for Rebel Eugene Blackwell, memorial no. 28988049, viewed on 17 Jun 2017. [S924] Marriage Records, 1932-1950, Van Zandt County, Texas (Wills Point, Tex. : Van Zandt County Gen. Soc'y, 2002), pp. 18, 289 (citing Van Zandt Co., Tex. Marriage Records, bk. 14, p. 600) (giving her name as Mrs. Mildred Foster Burrage). [S961] Find A Grave, online, above, memorial for Rebel Eugene Blackwell, memorial no. 28988049, viewed on 17 Jun 2017 (not giving the date or place). [S961] Find A Grave, online, above, memorial for Mary Mildred Foster Blackwell, memorial no. 59440353, viewed on 17 Jun 2017 (not giving the date or place). [S11] Index to Texas Death Records (Austin, Tex. : Tex. Dept. of Health, Bur. of Vital Statistics), typescript, 1954, vol. 1, p. 95, file 53590. [S312] Social Security Death Index, online at http://tinyurl.com/AncestrySSDI, viewed on 27 Feb 1998. [S961] Find A Grave, online at http://www.findagrave.com, memorial for Robert Lee Blackwell, memorial no. 28987981, viewed on 17 Jun 2017. [S11] Index to Texas Death Records (Austin, Tex. : Tex. Dept. of Health, Bur. of Vital Statistics), typescript, 1972, vol. 1, p. 128, file 65236. [S312] Social Security Death Index, online at http://tinyurl.com/AncestrySSDI, viewed on 27 Feb 1998 (stating that he died in Sep 1972; not naming the place of death but stating he lived in Canton, Texas when he died). [S961] Find A Grave, online at http://www.findagrave.com, memorial for Bonnie Belle Blackwell, memorial no. 59440328, viewed on 17 Jun 2017 (giving the year but no other information). [S11] Index to Texas Death Records (Austin, Tex. : Tex. Dept. of Health, Bur. of Vital Statistics), typescript, 1987 (microfiche), p. 163, file 64989-87. [S312] Social Security Death Index, online at http://tinyurl.com/AncestrySSDI, viewed on 27 Feb 1998 (stating that she died in Jul 1987; not naming the place of death but stating she lived in Canton, Texas when she died). [S961] Find A Grave, online, above, memorial for Bonnie Belle Blackwell, memorial no. 59440328, viewed on 17 Jun 2017. [S961] Find A Grave, online at http://www.findagrave.com, memorial for Rose Blackwell, memorial no. 59440363, viewed on 17 Jun 2017. [S961] Find A Grave, online, above, memorial for Rose Blackwell, memorial no. 59440363, viewed on 17 Jun 2017 (gikving the year but no other information). [S11] Index to Texas Death Records (Austin, Tex. : Tex. Dept. of Health, Bur. of Vital Statistics), typescript, 1988 (microfiche), p. 169, file 59737-88. [S312] Social Security Death Index, online at http://tinyurl.com/AncestrySSDI, viewed on 27 Feb 1998 (not naming the place of death but stating she lived in Dallas, Texas when she died). [S69] Wayne M. Harris, "A. W. Meredith Family," in The History of Van Zandt County, Texas (Wills Point, Tex. : Van Zandt County Gen. Soc'y, 1984), pp. 360-61 (giving the place but not the date). [S487] Athens (Tex.) City Cemetery, online at http://tinyurl.com/OldAthens, viewed on 6 Jan 2007 (giving the date but not the place). [S69] Wayne M. Harris, "A. W. Meredith Family," above viewed on 6 Jan 2007 (giving only the year). [S69] Wayne M. Harris, "A. W. Meredith Family," above (giving the city but not naming the cemetery). [S487] Athens (Tex.) City Cemetery, online at http://tinyurl.com/OldAthens, viewed on 6 Jan 2007. [S1136] J. J. Faulk, History of Henderson County, Texas (n.p. : n.pub., 1929), p. 66. [S69] Wayne M. Harris, "A. W. Meredith Family," above (naming Cyrus Bolivar Meredith as his father). [S69] Wayne M. Harris, "A. W. Meredith Family," above (naming Cyrus Bolivar Meredith as her father). [S69] Wayne M. Harris, "A. W. Meredith Family," in The History of Van Zandt County, Texas (Wills Point, Tex. : Van Zandt County Gen. Soc'y, 1984), pp. 360-61 (naming "Dr. Reid" as her father). [S219] Juanita Mayberry, family group record sent to Roger Bartlett, 5 Oct 1975 (naming Georgia Ann Reid as his mother). [S69] Wayne M. Harris, "A. W. Meredith Family," above (naming Georgia Reid as her mother). [S219] Juanita Mayberry, family group record sent to Roger Bartlett, 5 Oct 1975 (naming Anthony Wayne Meredith as her father). [S69] Wayne M. Harris, "A. W. Meredith Family," in The History of Van Zandt County, Texas (Wills Point, Tex. : Van Zandt County Gen. Soc'y, 1984), pp. 360-61 (naming Anthony Wayne Meredith as her father). [S73] Ada Provence Banta, "Anvaline Meredith Provence," in The History of Van Zandt County, Texas (Wills Point, Tex. : Van Zandt County Gen. Soc'y, 1984), p. 298 , (naming Belle Bartlett as her mother). [S137] Index to Texas Delayed Probate Birth Records (Austin, Tex. : Tex. Dept. of Health, Bur. of Vital Statistics), vol. 24, p. 11939, file 396695. [S73] Ada Provence Banta, "Anvaline Meredith Provence," above, (stating that she was born in Canton, Texas without giving a date). [S69] Wayne M. Harris, "A. W. Meredith Family," above (date only). [S69] Wayne M. Harris, "A. W. Meredith Family," above (not giving the date or place). [S73] Ada Provence Banta, "Anvaline Meredith Provence," above, (stating that they married in the Baptist Church of Wills Point). [S74] Carmen Majors, "Thomas King Provence, Sr.," in The History of Van Zandt County, Texas (Wills Point, Tex. : Van Zandt County Gen. Soc'y, 1984), pp. 398-99, (stating that they married in 1908 without giving the place). [S11] Index to Texas Death Records (Austin, Tex. : Tex. Dept. of Health, Bur. of Vital Statistics), typescript, 1968, vol. 3, p. 1217, file 90699. [S69] Wayne M. Harris, "A. W. Meredith Family," above (giving only the date). [S73] Ada Provence Banta, "Anvaline Meredith Provence," above, (giving only the date). [S219] Juanita Mayberry, family group record, 5 Oct 1975, above (naming the cemetery but not giving the date). [S236] Photograph of grave marker provided by Charles O. Richardson, Jr. on 14 Apr 1997, above (naming the cemetery but not giving the date). [S67] The Dallas Morning News, Dallas, Tex., 2 May 1968, sec. D, p. 3 (obituary of Mrs. T. K. Provence). [S172] Van Zandt County, Texas Cemeteries, Book 3 (Canton, Tex. : Friends for Historic Preservation, 1987), p. 3 (White Rose Cemetery Association). [S219] Juanita Mayberry, family group record, 5 Oct 1975, above (naming Anvaline Meredith as her mother). [S73] Ada Provence Banta, "Anvaline Meredith Provence," above, (naming Anvaline Meredith as her mother). [S74] Carmen Majors, "Thomas King Provence, Sr.," above, (naming Anvaline Meredith as her mother). [S69] Wayne M. Harris, "A. W. Meredith Family," above (naming Anvaline Meredith as her mother). [S219] Juanita Mayberry, family group record, 5 Oct 1975, above (naming Anvaline Meredith as his mother). [S73] Ada Provence Banta, "Anvaline Meredith Provence," above, (naming Anvaline Meredith as his mother). [S74] Carmen Majors, "Thomas King Provence, Sr.," above, (naming Anvaline Meredith as his mother). [S69] Wayne M. Harris, "A. W. Meredith Family," above (naming Anvaline Meredith as his mother). [S69] Wayne M. Harris, "A. W. Meredith Family," above (giving her name as Dr. Sally A. Provence and naming Anvaline Meredith as her mother). [S74] Carmen Majors, "Thomas King Provence, Sr.," in The History of Van Zandt County, Texas (Wills Point, Tex. : Van Zandt County Gen. Soc'y, 1984), pp. 398-99, (naming James C. Provence as his father). [S69] Wayne M. Harris, "A. W. Meredith Family," in The History of Van Zandt County, Texas (Wills Point, Tex. : Van Zandt County Gen. Soc'y, 1984), pp. 360-61 (giving only the date). [S312] Social Security Death Index, online at http://tinyurl.com/AncestrySSDI, viewed on 1 Apr 1998 (giving only the date). [S1539] Texas Deaths, 1890-1976, online at https://www.familysearch.org, record for Thomas King Provence, certificate no. 57080, viewed on 25 Jan 2019 (giving the date and state). 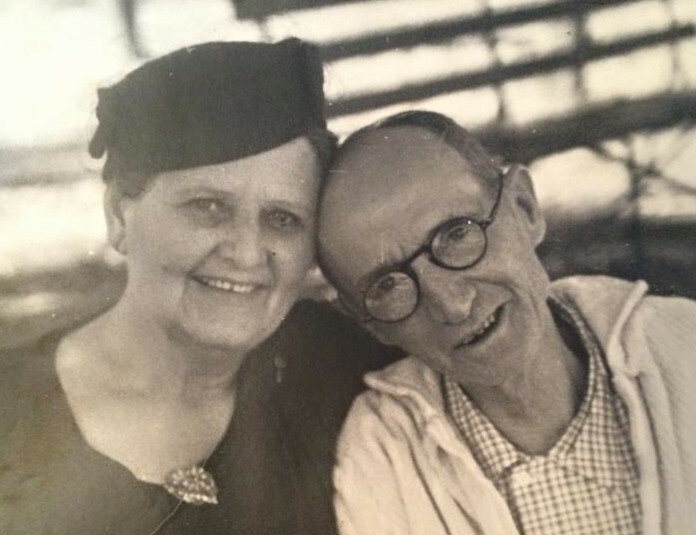 [S74] Carmen Majors, "Thomas King Provence, Sr.," above, (stating that they married in 1908 without giving the place). [S219] Juanita Mayberry, family group record sent to Roger Bartlett, 5 Oct 1975 (date only). [S11] Index to Texas Death Records (Austin, Tex. : Tex. Dept. of Health, Bur. of Vital Statistics), typescript, 1973, vol. 3, p. 1341, file 57080. [S74] Carmen Majors, "Thomas King Provence, Sr.," above, (giving only the date). [S312] Social Security Death Index, online at http://tinyurl.com/AncestrySSDI, viewed on 1 Apr 1998 (stating that he died in Jun 1973; not naming the place of death but stating that he lived in Canton, Texas when he died). [S1539] Texas Deaths, 1890-1976, online at https://www.familysearch.org, record for Thomas King Provence, certificate no. 57080, viewed on 25 Jan 2019. [S219] Juanita Mayberry, family group record, 5 Oct 1975, above (naming "Dr. Province" as her father). [S73] Ada Provence Banta, "Anvaline Meredith Provence," above, (naming Thomas King Provence as her father). [S74] Carmen Majors, "Thomas King Provence, Sr.," above, (naming Thomas King Provence as her father). [S69] Wayne M. Harris, "A. W. Meredith Family," above (naming Dr. T. K. Provence as her father). [S219] Juanita Mayberry, family group record, 5 Oct 1975, above (naming "Dr. Province" as his father). [S73] Ada Provence Banta, "Anvaline Meredith Provence," above, (giving his name as Thomas King Provence II and naming Thomas King Provence as his father). [S74] Carmen Majors, "Thomas King Provence, Sr.," above, (giving his name as Thomas King ("Tommy") Provence Jr. and naming Thomas King Provence as his father). [S69] Wayne M. Harris, "A. W. Meredith Family," above (naming Dr. T. K. Provence as his father). [S69] Wayne M. Harris, "A. W. Meredith Family," above (giving her name as Dr. Sally A. Provence and naming Dr. T. K. Provence as her father). [S219] Juanita Mayberry, family group record sent to Roger Bartlett, 5 Oct 1975 (naming Anthony Wayne Meredith as his father). [S69] Wayne M. Harris, "A. W. Meredith Family," in The History of Van Zandt County, Texas (Wills Point, Tex. : Van Zandt County Gen. Soc'y, 1984), pp. 360-61. [S219] Juanita Mayberry, family group record sent to Roger Bartlett, 5 Oct 1975 (giving his name as Carl M. Greer and not naming the place). [S923] Marriage Records, 1909-1931, Van Zandt County, Texas (Wills Point, Tex. : Van Zandt County Gen. Soc'y, 1993), pp. 32, 144 (citing Van Zandt Co., Tex. Marriage Records, bk. 10, p. 475). [S11] Index to Texas Death Records (Austin, Tex. : Tex. Dept. of Health, Bur. of Vital Statistics), typescript, 1963, vol. 2, p. 525, file 34528. [S69] Wayne M. Harris, "A. W. Meredith Family," above (giving only the year and not naming the place). [S219] Juanita Mayberry, family group record, 5 Oct 1975, above (naming Carl M. Greer as her father). [S69] Wayne M. Harris, "A. W. Meredith Family," above (naming Earl M. Greer as her father). [S236] Photograph of grave marker provided by Charles O. Richardson, Jr., accompanying letter to Roger Bartlett, 14 Apr 1997 (identifying him as "Son of A. W. and Belle Meredith"). [S172] Van Zandt County, Texas Cemeteries, Book 3 (Canton, Tex. : Friends for Historic Preservation, 1987), p. 67. [S236] Photograph of grave marker provided by Charles O. Richardson, Jr. on 14 Apr 1997, above (giving his name as Edward Meredith and identifying him as "Son of A. W. and Belle Meredith"). [S69] Wayne M. Harris, "A. W. Meredith Family," in The History of Van Zandt County, Texas (Wills Point, Tex. : Van Zandt County Gen. Soc'y, 1984), pp. 360-61 (naming Anthony Wayne Meredith as his father). [S69] Wayne M. Harris, "A. W. Meredith Family," above (giving only the year). [S172] Van Zandt County, Texas Cemeteries, Book 3 (Canton, Tex. : Friends for Historic Preservation, 1987), p. 67 (giving his middle name as Reed). [S172] Van Zandt County, Texas Cemeteries, Book 3, above, p. 67.